Your business is losing money if you don’t have a mobile version of your website. The best way to accomplish this is to have a responsive website. A responsive website uses the same domain name as your main website, in fact, it is your main website. The only difference is that it morphs into different sizes so that your customers can see and navigate your content easily. The website is carefully constructed so that it adjust to look good on all screen sizes. We can either convert your current website to a responsive design or create a totally new responsive, search engine friendly website from scratch. Thinking of Getting a Separate Mobile Website? 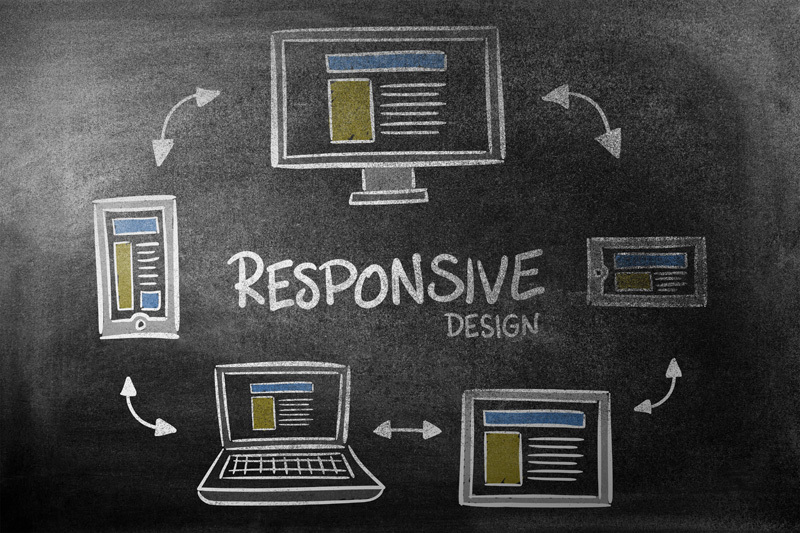 Take a look at the Advantages of a Responsive Design first! In the current era of smart phones, going mobile friendly is the call of the day. The two most popular options in this scenario are choosing a responsive web design or going for a mobile website -But which one will ultimately work best for you? First Things First – Which One Is Visually Appealing? On a mobile website, the overview is actually a smaller version of your website that is simpler to navigate on smaller screens. While with a responsive design, the screen size and rendering experience will be automatically adjusted according to the size and orientation of the screen. Flexible, fast and simple – what more can a user want? What Does It Mean For My Domain? On a Mobile website, you will actually need to create a separate domain to host your website, which is not just a dent on your budget but can also affect your incoming search traffic. While with a responsive design, you don’t need to worry about anything – your domain remains the same and only the code running in the background is tweaked by us! What about SEO and Traffic Management? On a Mobile website, separation of the domain may affect the overall traffic, as the links visited through the mobile website will not contribute to the overall SEO-friendliness and ranking of your main website. While with a responsive design, you can optimize links and SEO and multiply your traffic and rankings with a bang! On a mobile website, constant updates and tweaks are necessary to keep up with the changing technologies and latest next-generation Smartphones hitting the market. While with a responsive design, you can bring functionality to your fingertips! Requiring minimal maintenance, a responsive website design is designed for future ready websites so you can reap maximum benefits and attract consistent traffic without any extra hassle on your part. Still Can’t Make Up Your Mind? Request a FREE Consultation Today! Get in touch with us today to learn more about responsive website design and smart phone app development and how these features can spell ultimate business success for you. You can also contact us and get a quote on designing a responsive website for various mobile and smart devices. We are looking forward to hearing from you!